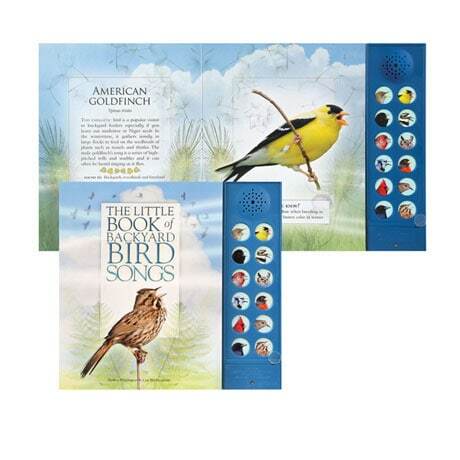 Geared toward the youngest of birders, this handy little board book may actually become a resource for the whole family! A dozen common backyard birds are profiled—from a house wren to a great horned owl to a song sparrow—with a detailed illustration, interesting facts, and (best of all!) an audio recording of each one's unique song. Children will love pressing the buttons to hear the distinct calls, and avian enthusiasts of all ages will delight in being able to identify the chirpers they hear outside. For ages 3 and up, up, up!